Join us at SAAFF’s biggest Opening Night Party ever. Hot off an East Coast concert tour with multiple sold out shows, Japanese Breakfast will be joining us at the historic Washington Hall to kick off the 2019 festival. 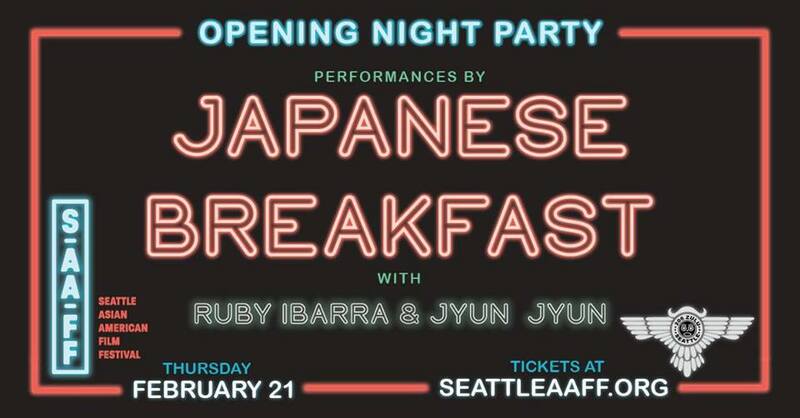 You also won’t want to miss Jyun Jyun’s stunning multimedia and live musical performance, or the fierce Bay Area rapper, Ruby Ibarra, who was recently listed on Buzzfeed’s “15 World-Class Filipinos Everyone Should Know.” Comedian Bri Pruett will be flying up from LA to emcee the show, and DJ Spam I Am will keep you dancing at what’s sure to be our best party yet!